Maulana Masood Azhar, head of Pakistan’s militant Jaish-e-Mohammad party, attends a pro-Taliban conference organised by the Afghan Defence Council in Islamabad August 26, 2001. Azhar, who was freed by India in exchange for the release of an Indian aircraft hijacked to Afghanistan in 1999, said that U.N. monitors should not be placed in Pakistan and that his followers would lay down their lives to force them out. 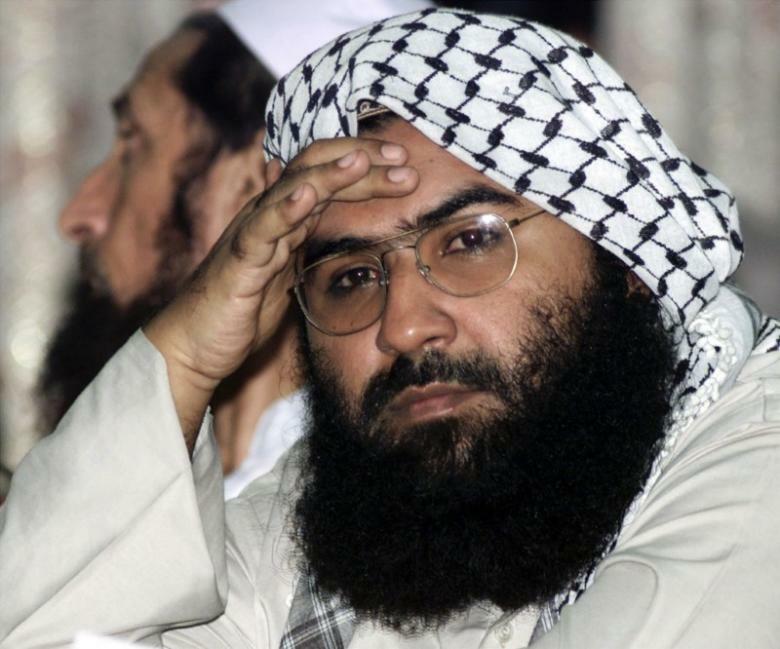 China has blocked India’s request to add the head of the Pakistan-based militant group Jaish-e-Mohammad to a U.N. Security Council blacklist of groups linked to al Qaeda, India said on Friday. Foreign ministry spokesman Vikas Swarup said that India had requested that Azhar be added to the list nine months ago and had received strong backing from all other members of the council. But China, which put a hold on the move in April, had now blocked it, he said. “We had expected China would have been more understanding of the danger posed to all by terrorism,” he said in a statement. Swarup added that the inability of the international community to take the step showed the “prevalence of double standards in the fight against terrorism”. China’s foreign ministry said there were different views about the case, so China had put forward a “technical shelving” to give more time for consultation, but that regretfully no consensus had been reached. China’s aim is to maintain the authority and effectiveness of name listing by the committee discussing the case, which accords with Security Council resolutions and is the responsible thing to do, it said in a statement sent to Reuters. China will continue to maintain communication with all parties, it added. India has long accused its neighbour and rival Pakistan of using Jaish-e-Mohammad as a proxy to mount attacks on Indian soil, including in the disputed Kashmir region, and earlier gave what it called “actionable intelligence” to Pakistan, including telephone intercepts. Pakistan denies giving any aid to Kashmir-based militants. If Azhar was blacklisted by the U.N. Security Council, he would face a global travel ban and asset freeze. Philippine President Rodrigo Duterte has asked his defence minister to move joint naval exercises with the United States away from the disputed South China Sea as Duterte tries to repair Manila’s ties with China. The Philippines has already decided to reduce the number of drills it holds with its long-term ally and former colonial master after Duterte announced a sudden pivot towards China. Defence Secretary Delfin Lorenzana told reporters at a military ceremony on Friday that Duterte had advised him to seek a new location for the war games. “We might move the naval exercises facing the South China Sea to Mindanao area to avoid annoying our neighbor, so let us be sensitive of our neighbors,” he said. Duterte visited Beijing in October and announced that he was loosening ties with Washington, which has provided nearly $800 million in military aid since 2002. Chinese-Filipino relations were strained in 2013 when Manila asked an international tribunal in The Hague to rule on China’s claim to large parts of the South China Sea, where Brunei, Malaysia, the Philippines, Taiwan and Vietnam also have claims. The Permanent Court of Arbitration ruled against China but Beijing, which has been building and fortifying artificial islands in the area, refused to recognize the decision. Duterte reiterated on Thursday that he wanted to avoid confrontation with China and saw no need for urgency in pressing it to abide by the ruling. He also played down concerns that China was militarizing the South China Sea and appeared unperturbed by its dredging work and building activity, much of which falls within what Manila considers its Exclusive Economic Zone. Taiwan President Tsai Ing-wen will transit through Houston and San Francisco during a January visit to allies in Latin America, her office said Friday, prompting China to repeat a call for the United States to block any such stopover. Tsai’s office declined to comment on whether she would be meeting members of U.S. President-elect Donald Trump’s team, but the U.S. mission in Taiwan, the American Institute in Taiwan (AIT), said the visit would be “private and unofficial”. An adviser to Trump’s transition team said he thought “further high-level engagement for the foreseeable future is unlikely” when asked if any meetings were planned. The adviser did not want to be identified by name. China’s Foreign Ministry repeated a previous call for the United States not to allow the transit and not send any “wrong signals to Taiwan independence forces”. “We think everyone is very clear on her real intentions,” the ministry said, without explaining. 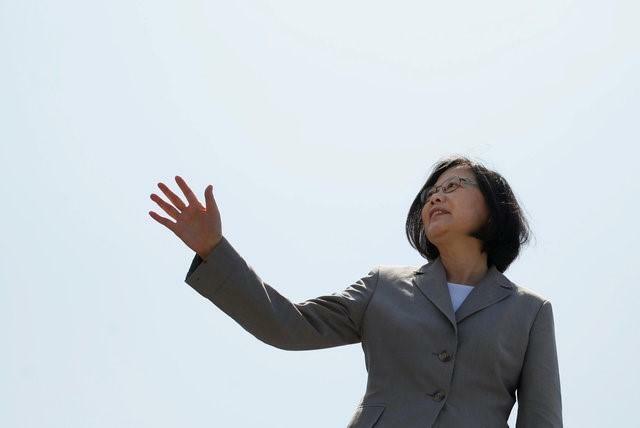 Tsai is transiting through the United States on her way to and from visiting Honduras, Nicaragua, Guatemala and El Salvador. She will leave Taiwan on Jan. 7 and return on Jan. 15. Tsai will arrive in Houston on Jan. 7 and leave the following day. On her return, she will arrive in San Francisco on Jan. 13, Presidential Office spokesman Alex Huang told a regular news briefing. The AIT said the transit did not contradict the “one China” policy. Spensley said Tsai’s transits would be “private and unofficial”. The U.S. State Department said AIT chairman Ambassador James Moriarty would greet Tsai in Houston and San Francisco. Speaking to members of China’s largely ceremonial advisory body to parliament on Friday, Chinese President Xi Jinping said next year China would make “unremitting efforts” at unification and developing peaceful relations across the Taiwan Strait, state news agency Xinhua said. Taiwan had as many as 30 diplomatic allies in the mid-1990s, but now has formal relations with 21, mostly smaller and poorer nations in Latin America and the Pacific and also including the Vatican. 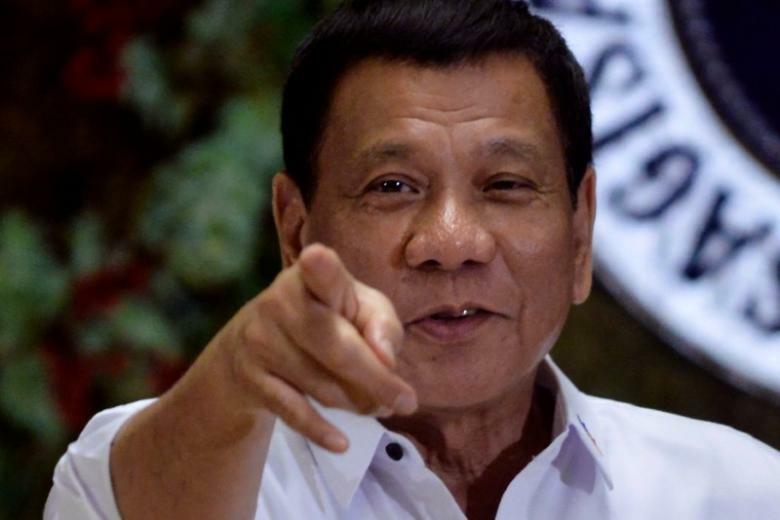 Philippine President Rodrigo Duterte on Thursday said the failure of the United States to thwart China’s island-building in the South China Sea showed there was no serious concern about its militarization or reclamation work. The firebrand leader reiterated he wanted to avoid confrontation with China and saw no need for urgency in pressing it to abide by a July ruling by an international tribunal on its South China Sea claims that went in favor of the Philippines. Asked during a television interview when he would address the issue, Duterte said it would happen “during my time” but he was not yet ready to discuss the ruling by the Permanent Court of Arbitration in The Hague and neither was China. He said he had no intention of aggressively pursuing the Philippine maritime claim and taking on China and the only power capable of doing so was the United States. “I cannot let is pass and be neglected,” he told CNN Philippines, referring to the ruling that rejected China’s extensive claims in the South China Sea. “But are you ready to talk with me now? Because if you are not, I am not ready,” he said, referring to China. Duterte made a stunning U-turn in foreign policy a few months ago when he made overtures towards longtime rival China and started berating traditional ally the United States. He has previously played down the arbitration case, saying it would “take a back seat” during his talks in China in October. He has frequently praised China and said he wants it to play a prominent role in his economy. 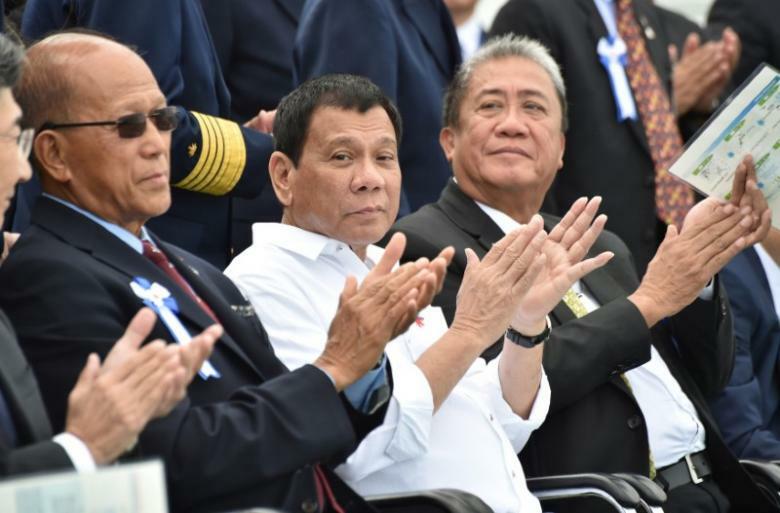 Duterte also played down concerns that China was militarizing the South China Sea and appeared unperturbed by its dredging work and building activity on reefs, several of which were within Manila’s Exclusive Economic Zone (EEZ). Asked if he was worried, he said. “No. Because if it was really a serious concern, then the United States should lead the way and stop it. Duterte said the one situation where he would take a stand against China was if it were to start exploiting natural resources within Philippine sovereign territory. He likened it to children bickering over inheritance. The Philippines has within its EEZ deposits of oil and gas but lacks the expertise to exploit them. It has also been complicated by China laying claim to the same waters. “When the minerals are already being siphoned out,” he said when asked under what condition he would challenge China. “(It’s a) question of money. ‘Wait a minute, I thought we’re friends’,” he said. 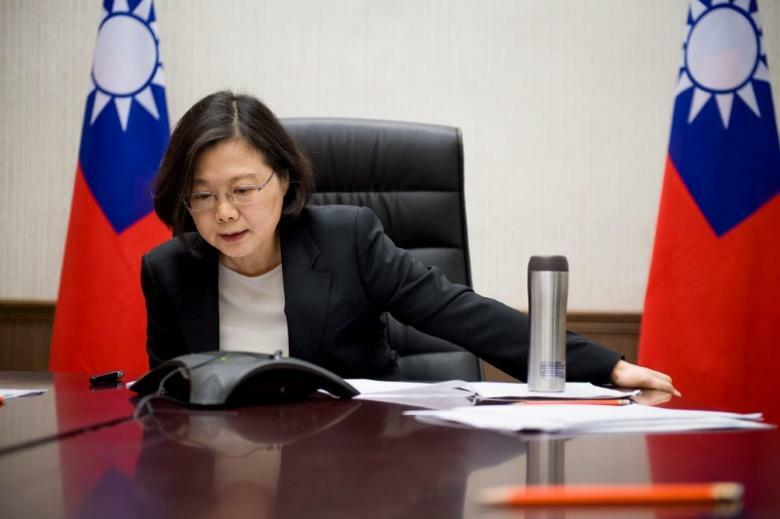 China said Tsai’s intentions were clear and urged the United States not to let her in. “We hope the U.S. can abide by the ‘one China’ policy…and not let her pass through their border, not give any false signals to Taiwan independence forces, and through concrete actions safeguard overall U.S. China relations and peace and stability in the Taiwan strait,” Hua Chunying, a Chinese Foreign Ministry spokeswoman, told a briefing in Beijing. The transit details are being closely watched as Taiwan media has speculated Tsai will seek to meet President-elect Donald Trump’s transition team ahead of his January 20 inauguration. China’s sole aircraft carrier, accompanied by several warships, sailed close to Taiwan this week, which followed on from air force exercises also close to Taiwan. Chinese Defence Ministry spokesman Yang Yujun repeated that the drills were routine, but added that such drills did have Taiwan in mind. “The military’s holding of exercises is beneficial to raising our ability to oppose Taiwan independence and protecting the country’s sovereignty and territorial integrity, and beneficial to protecting the peaceful development of cross-Taiwan Strait relations and peace and stability there,” he told reporters. Tsai’s office earlier this month said she would visit Honduras, Nicaragua, Guatemala and El Salvador in that order. She will leave Taiwan on Jan. 7 and return on Jan. 15. The American Institute in Taiwan, the de facto embassy of the United States, had no immediate comment on Tsai’s itinerary. A Competition of Stupidity between Chinese and US Militaries? Chinese backward aircraft carrier’s recent drill in western Pacific has drawn much interest in the world. China will be stupid to incur huge costs to develop a navy strong enough to cruise US coast for the mere purpose of making the US unable to impose pressure on China. In fact, the US is unable to impose pressure on China now. It cannot force China to accept the Permanent Court of Arbitration’s ruling on the South China Sea. China sends air force to conduct combat petrol in the South China Sea to protect its sovereignty and interests there but the US cannot counter that. It can only conduct a few harmless freedom of navigation operations. Concerning the Taiwan issue, China’s most vital core interest, China has sent its fighter jets and aircraft carrier to cruise around Taiwan to put pressure on Taiwan. The US simply fails to respond. China has to prevent its trade lifelines from being cut by US navy, but building a navy matching US one is too expensive and takes too much time. A prompt strike air force costs much less and takes much less time to develop. 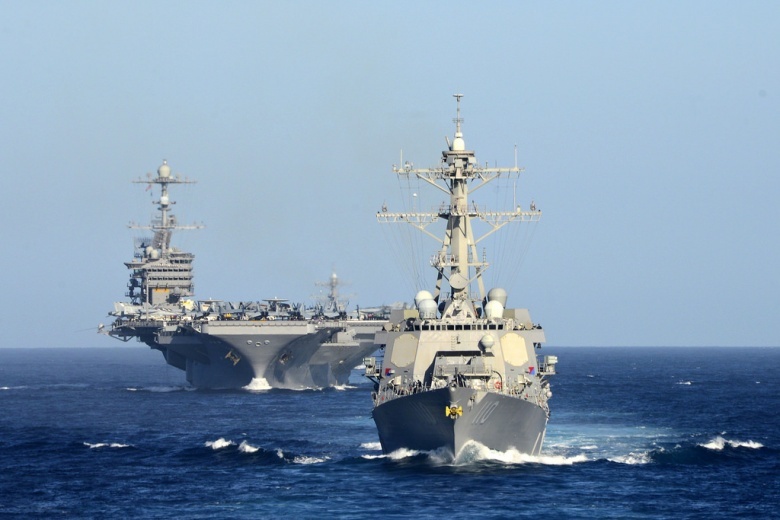 However, if the editorial can cause the US to spend more in expanding its navy and sink deeper in its mountains of debts, it is a wise strategy. It makes the US have less funds to develop a prompt strike air force to deal with the Chinese one. National Interest’s article “Get Ready, Russia and China: The U.S. Navy Could Get More Aircraft Carriers” says that US navy plans and will get Congress approval for large-scale expansion. US navy has no rival with its present scale. Neither China nor Russia is able to become strong enough to challenge in with decades. Such expansion proves US military’s stupidity. We do not know whether Chinese leaders are now competing with US military for stupidity in contending with US navy for hegemony at sea. China do not need a navy as strong as the US to defend its core interests and trade lifelines unless it is so stupid as to want to contend with the US for world hegemony. If China only wants to defend its core interests and trade lifelines instead of developing a huge navy to contend with the US for world hegemony, it will have much more financial resources for economic growth and improvement of Chinese people’s livelihood. Will China compete with the US for stupidity in contending for world hegemony? We will wait and see. If there is indeed such a competition for stupidity, we have much more to laugh at than only laughing at US stupidity. 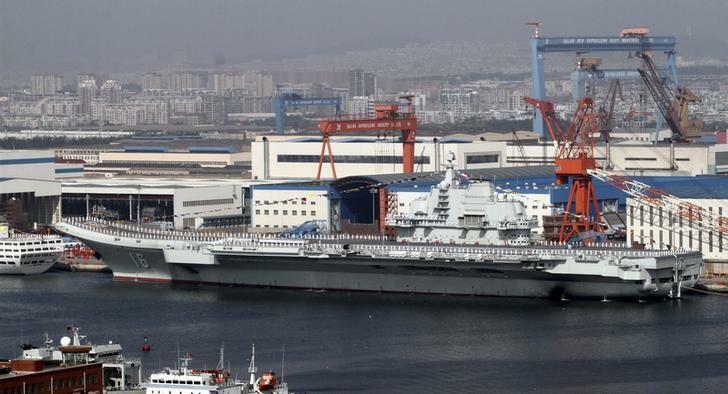 Comment by Chan Kai Yee on Global Times editorial “China’s carrier fleet must sail beyond offshore zone” at http://www.globaltimes.cn/content/1025653.shtml and National Interest’s articles “China’s Aircraft Carrier: The Ultimate Weapon or Paper Tiger?” and “Get Ready, Russia and China: The U.S. Navy Could Get More Aircraft Carriers respectively at http://nationalinterest.org/blog/the-buzz/chinas-aircraft-carrier-the-ultimate-weapon-or-paper-tiger-18866 and http://nationalinterest.org/blog/the-buzz/chinas-aircraft-carrier-the-ultimate-weapon-or-paper-tiger-18866. China is extending its sway over an autonomous enclave run by Myanmar’s most powerful ethnic armed group, sources in the region told Reuters, bolstering Beijing’s role in the peace process that is the signature policy of Aung San Suu Kyi. The “foreign policy” of the self-proclaimed Wa State is closely monitored by Beijing, senior officials in the administration run by the 30,000-strong United Wa State Army (UWSA) and its political wing said, with contact with Western governments, businesses or aid groups deemed particularly sensitive. Official known to Myanmar as “Special Region 2”, the remote territory is the size of Belgium and home to 600,000 people. Largely closed to Westerners for decades, it was visited by Reuters in October. China’s influence is quickly apparent, with street signs in Mandarin and Chinese businesses and banknotes ubiquitous in the self-proclaimed state’s capital, Pangsan, and other Wa towns that straddle the rugged border. Delve a little deeper, and it is apparent that China’s reach extends much further than business and social ties. When Lo Yaku, the Wa agriculture minister, was asked about the drugs the statelet is accused of producing on an industrial scale, his secretary and a staffer from the official Wa News Bureau intervened to deflect the question. Both men are not Wa natives, but from China. “This question was answered yesterday,” said I Feng, a news bureau reporter originally from western China. “After the drug eradication campaign, our government encouraged agencies, individuals and Chinese investors to participate in anti-drug activities,” said the minister’s secretary, Chen Chun, originally from Zhejiang province on China’s faraway east coast. A similar scene played out repeatedly during Reuters’ visit – the first by a major international news organization – questions on topics ranging from military funding to methamphetamine were mostly fielded not by the Wa minister but by an accompanying Chinese minder. These and other Chinese citizens Reuters found working in the administration in Pangsan said they were employees of the Wa government and did not work for the authorities in Beijing. But their presence hints at just how closely entwined the Wa State and its leaders are with their giant neighbor. “China has its ears and eyes everywhere, including in the government and business, and is wary of any deepening of ties with the West,” said one minister from the Wa government, speaking on condition of anonymity due the sensitivity of the matter. “We take this very seriously, and act so as not to anger China,” he said, adding that all dealings with Washington and Brussels, as well as every foreigner or NGO entering Wa territory, were scrupulously reported to China. China’s Ministry of Foreign Affairs said in response to a question from Reuters that “as a friendly neighbor” it has “consistently respected Myanmar’s sovereignty and territorial integrity, and not interfered with Myanmar’s internal affairs”. The Wa State was formed in 1989, when the Communist Party of Burma (CPB) disintegrated into ethnic armies, and has been run as an autonomous region by the UWSA beyond the authority of the central Myanmar government since. The rare invitation to a small group of foreign journalists to visit – made at Beijing’s urging according to two ministers from the Wa government – appears to be part of a charm offensive aimed at the new civilian government led by democracy champion Suu Kyi. Reaching an accord with the Wa and other rebels is one of Suu Kyi’s biggest challenges as she grapples with the interlocking issues of ending decades of ethnic conflict and tackling drug production in Myanmar’s lawless border regions. 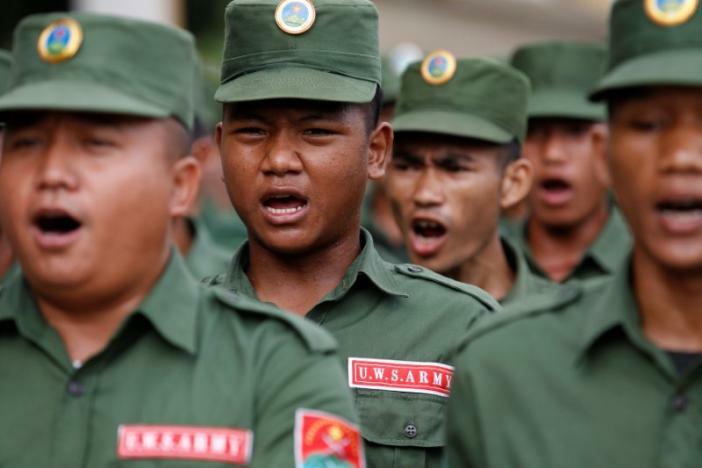 While it has not fought the Myanmar army in years, the USWA – whose leaders deny allegations from the United States and others that it is a major producer of methamphetamine – has so far declined to actively participate in Suu Kyi’s peace process. “It’s a good timing for us to open up. There’s a new political reality in Myanmar, so it’s good to engage in the political dialogue and open up to the outside world,” said Nyi Rang, a Wa government official. China also has its own interests in play, according to analysts. Beijing hopes Suu Kyi will restart a blocked, Chinese-financed mega-dam project, and wants to protect its extensive mineral interests in the country after the removal of U.S. sanctions has opened it up to Western competitors. “China is playing a complex game in Myanmar aimed at safeguarding and extending its considerable economic, commercial and strategic interests while at the same time deterring any encroachment by Western or Japanese interests along its southwestern border,” said Anthony Davis, a Bangkok-based analyst for security consulting firm IHS-Jane’s. The Wa mini-state relies heavily on China as a market for its exports of rubber and metals such as tin. As well as occupying government posts, Chinese citizens, mainly from neighboring Yunnan province, dominate local markets and the Wa elite send their children to Chinese schools and elderly to its hospitals. Experts such as IHS-Jane’s Defence Weekly have previously reported that China has sold a variety of weapons to the Wa. For the first time, a Wa minister, who declined to be identified, confirmed some of those reports and described the process. The Chinese Defence Ministry denied selling weapons to the Wa. “China has consistently and strictly adhered to a military equipment export policy that benefits the recipient country’s present defense needs, does not harm regional or world peace, security and stability, and that does not interfere in the internal affairs of the recipient country,” it said in a statement to Reuters.